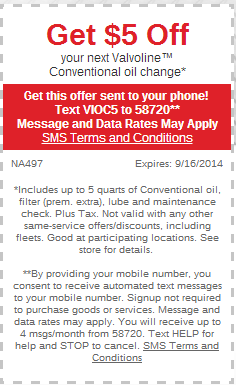 Valvoline motor oil has become one of the most used and trusted brands of oil used today. This product is used on cars and trucks with oil changes at many mechanic shops as well as services at car dealerships. This is also the oil used in lots of race-cars today. 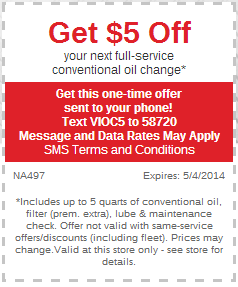 When you are looking for a Valvoline oil change, you may be looking either for any location that uses Valvoline, or actually a Valvoline Instant Oil Change location. 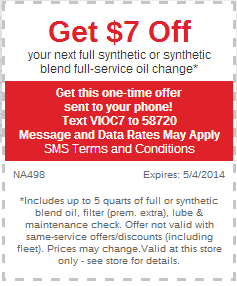 Valvoline Instant is a large franchise company across the US that provides quick oil changes for a low price. 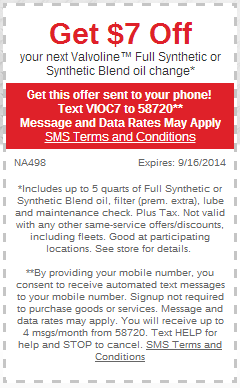 Valvoline Instant Oil Change coupons usually have larger discounts in Southern California in locations where they rebranded EZ-Lube shops.